Currently active in numerous endevours and musical groups Chris Mitchell is an engaging and innovative saxophonist. Heralded as one of Canada’s finest instrumentalists, Chris has contributed to the music scene in a number of diverse and exciting ways. A versatile player, Chris is a sought after talent across a variety of genres performing with a myriad of artist’s including David Foster, Natalie Cole, Lionel Richie, Ray Charles, Rosemary Clooney, Phil Woods, Kenny Wheeler, Jackie Richardson and Doug Riley to name a few. Chris recently toured with The Afro Cuban Jazz and Beyond Quintet featuring Ignacio Berroa, Hilario Duran, Roberto Occhipinti and Jorge Luis Torres. Chris has also toured extensively in North America, Europe and in Asia and has also performed with a numerous symphony orchestras across Canada and in Europe. His extensive experience as a performer, composer and arranger has culminated in the production of four solo instrumental albums to date. As a result of his 1997 release “ The Witches of Red eard ” featuring the late jazz icon Phil Woods. The Chris Mitchell Quintet was the recipient of the prestigious “Prix De Jazz DuMaurier” performing at the 1999 Montreal Jazz Festival. As a sideman Chris has also recorded with numerous Juno and ECMA winning artists. Chris’ talents include a keen ability to understand product advertising and promotion. He runs his own successful production company – MitchMusic. In addition Chris’ understanding of multi-­‐ media presentation has resulted in compelling commercial music and marketing materials for a number of clients including both the public and private sectors. Chris Mitchell has established himself as a well-respected “first call” studio and live performance musician. Chris has worked on numerous television, radio and jingle productions including countless live shows in a variety of venues. Chris's well-rounded and diverse style enables him to be proficient in a number of musical genres. Chris is featured on a number of compact discs for other established Canadian artists who include Canadian music icon Doug Riley. In June of 1997, Chris did a national tour of Canadian Jazz Festivals with the Benghazi Saxophone Quartet. This tour included twelve major Canadian cities, during which time the group received rave reviews. The Benghazi Saxophone Quartet changed their name to Benghazi Sax and recorded two compact discs Night Time Uptown and On the Lamb (Justin Time). In July of 1998, Chris released his second solo recording titled The Witches of Redbeard (Koch) — an acoustic, mainstream jazz recording featuring saxophone icon, Phil Woods, as the special guest artist. This recording showcases Chris's great abilities as a performer and composer, highlighting his own wonderfully crafted music along side choice standards as Alone Together and Night in Tunisia. The recording treats all of the songs with creativity and originality. The Witches of Redbeard also features Canadian musical heavyweights: Kirk MacDonald, Jerry Fuller, Neil Swainson, Jamie Gatti and Tom Roach. A full-length compact disc titled Spectrum (Justin Time) was released in the spring of 2000. Spectrum received rave reviews nationally. 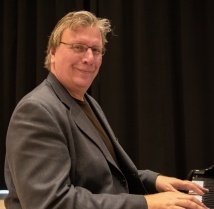 In April 2002 Chris performed in the Symphony of Jazz; a world premiere of Doug Riley's Prince Edward Island Suite - concerto for symphony and jazz quartet. Again another sold out performance with rave reviews. This work was performed as part of Symphony Nova Scotia's pops program conducted by Howard Cable on March 31, 2006. In December of 2005 Chris was a special guest at The Havana Jazz Festival. The Chris Mitchell Quintet consisted of Canadian and Cuban musicians and featured Chris' original music. In May 2007 Chris released his fourth CD entitled ton-ic. This was a collaborative work with Doug Riley, Jamie Gatti, and David Burton. Ton-ic was nominated for the 2007 Jazz Recording of the Year. His first solo instrumental album, Collage (Warner Music) was recognized nationally, resulting in three East Coast Music Award nominations, winning Jazz Artist of the Year in 1995. The Chris Mitchell Quintet was the recipient of the prestigious “Prix De Jazz DuMaurier”. Chris' symphony arrangement of his composition The Fog was featured in performance with Symphony Nova Scotia as part of the ECMA celebrations in February 2007.